Discussion in 'Everything Else Archive' started by direwolf, Mar 31, 2019. 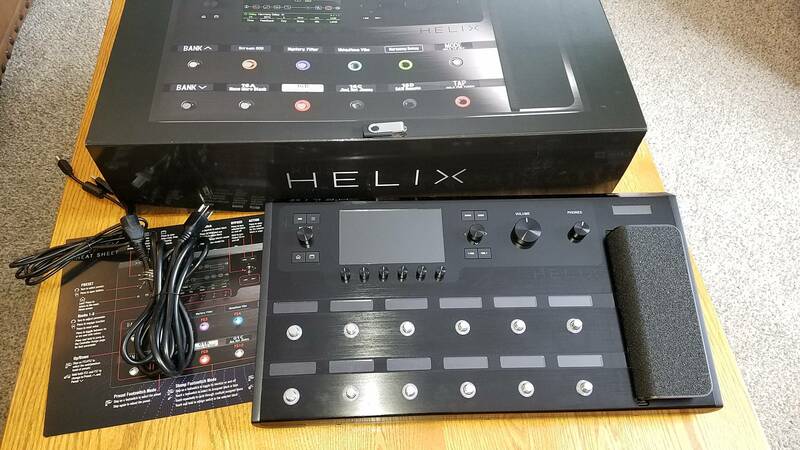 Line 6 Helix Floor with padded Helix bag, works perfectly. No issues, what you see is what you get. Trade value 1250, looking for amps. If a like new Supro Keeley 1970RK has any interest for you, maybe we could work something out. If so, feel free to message me. The name of the item and plus or minus cash amount via PM. You said you were looking for amps, what kind of amps, there are many, I have many, some clues would help.